Dog Barking? digging? begging? jumping? pulling on leash? and just plain driving you crazy? Discover Pet Training can help! We use positive training methods that are based in the latest science to help you discover what your pet can be! We service Ottawa IL, Peru IL, Morris IL and surrounding areas. Offering group classes, private training in home or on location, and one on one private training while your dog is at Doggy Daycare or being boarded at Play and Stay Dog Lounge in Ottawa, IL, there is sure to be a training solution for you and your pet! Marisha is a certified dog trainer with Animal Behavior College allowing her to add the title ABCDT to her name. After becoming certified Marisha also took a Continuing Education Course with Animal Behavior College on Feline Management and Training, allowing her to also be able to help with cats. Marisha is also a Certified Trick Dog Instructor (CTDI). She quickly reached the highest rank of trick dog instructors becoming an All Star Trainer of the Year. She is within the top 10 of all certified trick dog trainers with how many dogs she has helped earn their trick title. Trick training is great for building a bond as well as building confidence in a dog and is used in a lot of our training. She can evaluate both trick titles for Do More With Your Dog and for the American Kennel Club (AKC). Marisha is an AKC Canine Good Citizen Evaluator. This allows her to test for the CGC, CGCA, and CGCU. As well as include the AKC S.T.A.R. Puppy program in our group classes for any dog under 1. 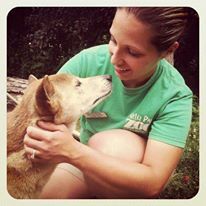 Before taking the path to become a dog trainer Marisha earned a degree in Wildlife Education and Captive Wildlife Management at the University of Wisconsin Stevens Point. She also interned with the Racine Zoo and Oceans of Fun located in the Milwaukee County Zoo gaining a wealth of knowledge in training. 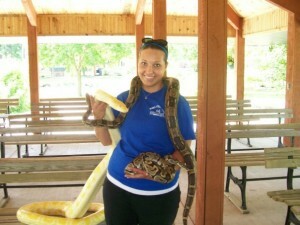 As well as worked at Wildwood Zoo in Marshfield, WI and volunteered at Miller Park Zoo in Bloomington IL. 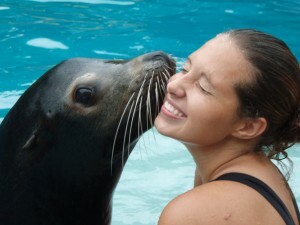 These opportunities allowed her to gain experience with many different species, which has helped her in her training career.